This past Saturday Dave joined a friend from work in completing the Spartan Race at Wintergreen Resort in VA. If you don't know what that is, Spartan Races are obstacle courses ranging from 3 miles to over 20. They have a few different types. This one Dave did was called a Super; the Super will test your endurance, perseverance and grit. 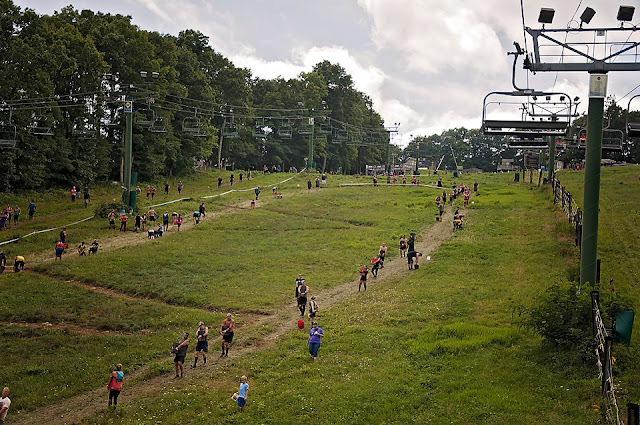 The 8+ Mile Super packs more than 25 Signature Spartan Obstacles through tougher and more rugged terrain. 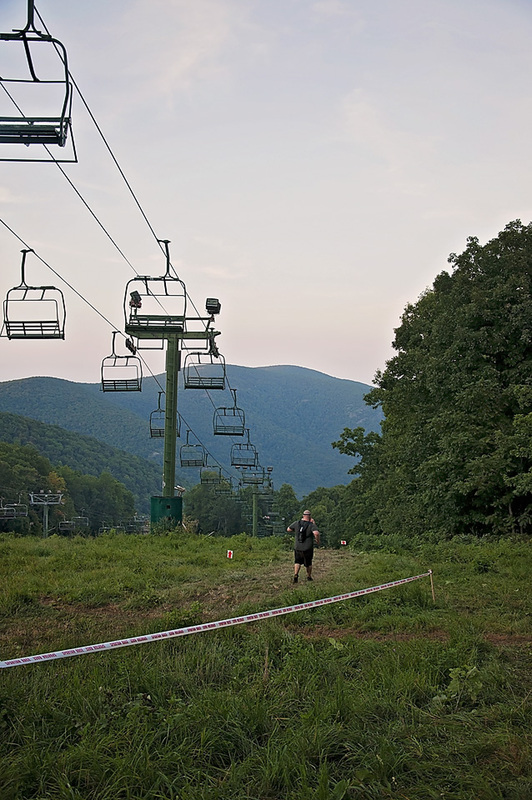 The one at Wintergreen is considered to be one of the hardest Super courses as it's up and down ski hills including black diamond and double black diamond slopes totaling over 9 miles including 29 obstacles. Needless to say, it's quite the intense race. Absolutely insane. It was honestly exhausting just watching him do it. We got to the resort extra early and watched the Elite men finish. We recognized some of the guys as we had been watching some of the Spartan Races that had aired on NBC. We were fans of one guy in particular, whose nickname is The Bear, and were excited to be able to see him finish in 1st place. We later found out that his sister lives in our ward! We had no idea! Small world! Dave started at 11:30. I tried to keep up with them from the time they started until about 4:30 when I crashed on the grassy slope. I snapped some photos and made a little video from the day that you can check out at the bottom of this post. Since Dave was the one who experienced this grueling course, I asked him to type up what it was like. Enjoy! Adria and I woke up early to get up to the resort and to be signed in for the race. Upon arriving at the general parking lot, we got on a bus that drove us up to the resort. After being signed in, receiving my race packet we went to the festival grounds to await my start time at 11:30. Prior to starting, we saw the men’s elites finish, where we saw Matt Novakovich finish first. I was excited to see him as we had been watching a lot of Spartan Races. Matt is from Alaska and is 41, which is very impressive to be competing at this level on course such as Wintergreen. At 11:15, a friend of mine and myself headed down to the starting line to begin our experience with the course that lay ahead. As we started, the first obstacle that we came to was the log hurdles, somewhat quickly traversing these obstacles we continued. We then ran a short distance where we came to the Over Wall obstacles going over one wall under another and then through the last. Continuing from there, we climbed a hill leading to the third obstacle. We then descended through the woods again. 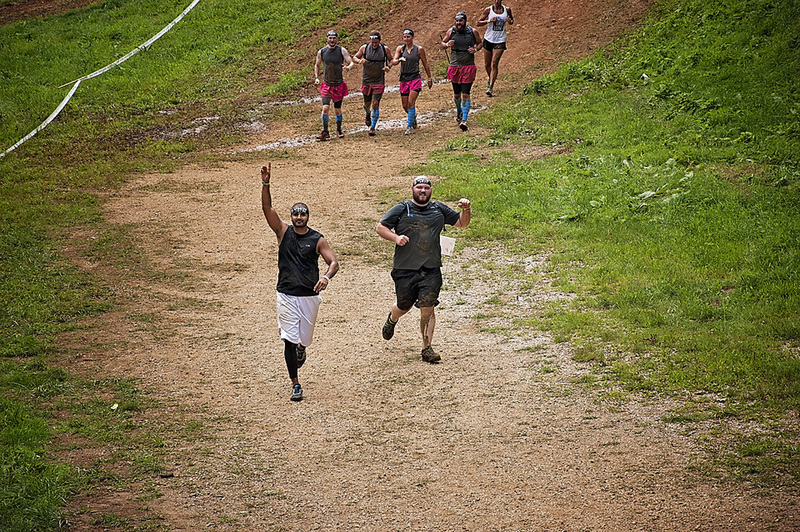 The Virginia Super was my first Spartan Race ever and I wish I had trained more than I had especially since I signed up for the course at Wintergreen Resort, known for being one of the hardest Spartan Supers as you are continually climbing up and down black diamonds and double black diamond slopes. The first third of the race went fairly well as I was still excited to be out there. My excitement never went away but it definitely changed. 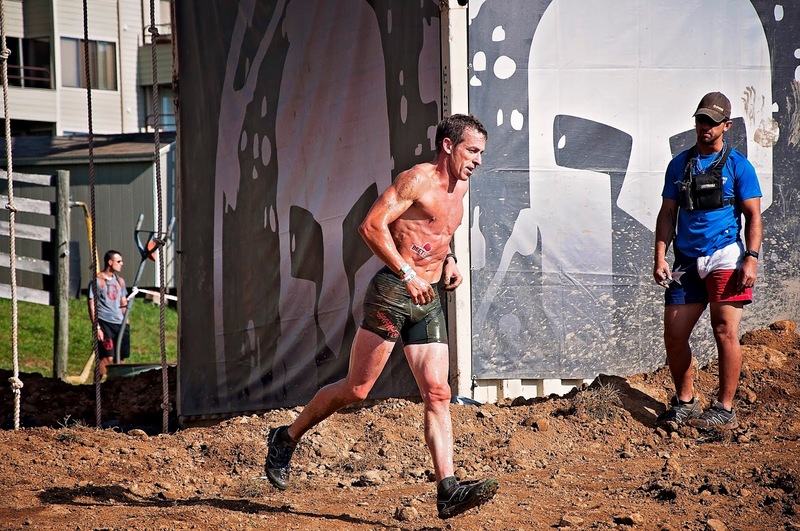 For nine grueling miles, I carried my 270-pound body up and down hills and completing most of the obstacles. At around four miles, my body began shutting down. I was not accustomed to the relentless climbing and descending. My endurance quickly ran out even with continued hydration and fueling. At that point, it became a choice to finish, that even though everything in my body told me to stop I could not allow myself to do so. I was not going to stagger over to some support staff and ask them to med evac me off the mountain on some damned ATV because I could not finish, because that was not why I signed up. Even though I am not in the best shape of my life (hell far from it), I signed up to prove to myself that I could overcome hard things. Therefore, I pushed through the fatigue and I would climb one heavy step after another until I crossed that finish line. At around mile marker seven we came to the mother off all hills, if I am correct it has been called names such as the “Death March” or “Trail of Tears,” you climb for what I believe was a mile. Though to be completely honest, I am not sure because by this time, I had been out there for over six hours and I mostly was looking at my feet and moving at a pace that a tortoise could have beaten. Finally, at eight hours and forty-three minutes I crossed the finish line in daze. I did not do as well as I wanted to do but I put everything I had into that race and when I crossed that line, I had nothing left. Two days later as I sit here typing this, my entire body especially my legs, are screaming in pain and I can hardly move. I have been sore before from workouts, this is a completely new level of sore that I have never before experienced. Even with all of that, I am determined to get back out there and do better than I did. I swore to myself as I limped to the bus that night that I would never come back to Wintergreen, but I do not think that I will be able to keep that promise to myself. Yes, it will be some time before I return but when I do, I will be a lighter, stronger version of myself. I am grateful for the opportunity that I had to see Matt Novakovich finish first in the elite race, grateful for my friend who stuck with me for as long as he did as I seriously slowed him down, and grateful for all those Spartans who saw me and offered their words of encouragement. 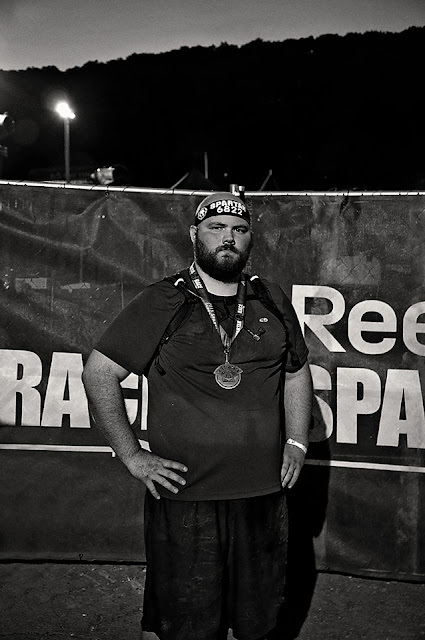 It may have been my first Spartan Race but it certainly will not be my last. To any of those who are thinking about doing a Spartan Race I cannot recommend them highly enough. You will be pushed to your limits and then much much more, but in the end you find a strength within yourself that you did not realize that you had. Despite my efforts to keep up with him, I lost him and I couldn't find him for quite awhile. It was starting to get dark I started getting worried! But I know him too well; he wouldn't give up and wouldn't give in to being carted off the course unless he was seriously injured. Sure enough, just when I was really starting to get worried, I saw him start to hit the peak of the slope and I ran over to him. My poor Bear was so tired it took me quite a while to get his attention. But despite how tired he was he finished! I am so proud of my Bear! I would like to do a Spartan Race one day, but I don't know if I will ever have the guts to do Wintergreen. I sat watching and waiting for Dave to come up to the top of the slope for over 3 hours. I sat in view of 3 obstacles, including the last bit of hill up to the final obstacle and the finish line. I heard so many people say these exact words; "This was way harder than I expected" as they made their way up the last bit of hill to the final obstacle. You know when you see some very fit people who are clearly in pain and are positively exhausted that this was some tough shiz. But my Bear finished! I am so glad he was able to accomplish his goal. Enjoy the video and pictures from the day! Great pictures! Hope you enjoyed the Spartan race. What an awesome experience. Couple of us from the Potomac Crossing Ward were there as well.